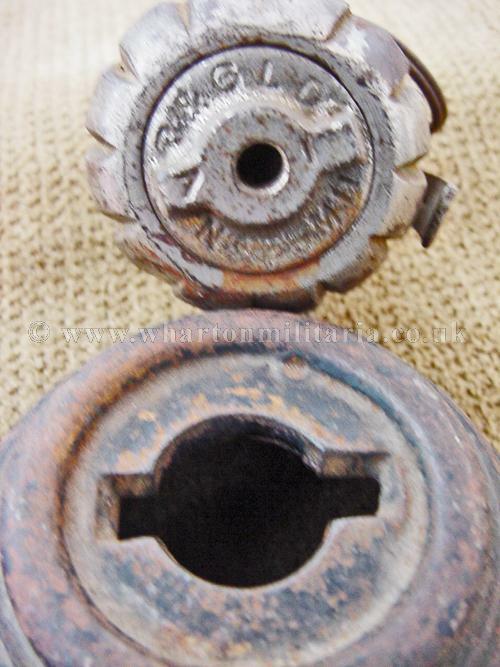 WW1 British Number 23 MkII sectioned rifle and hand grenade in excellent condition. 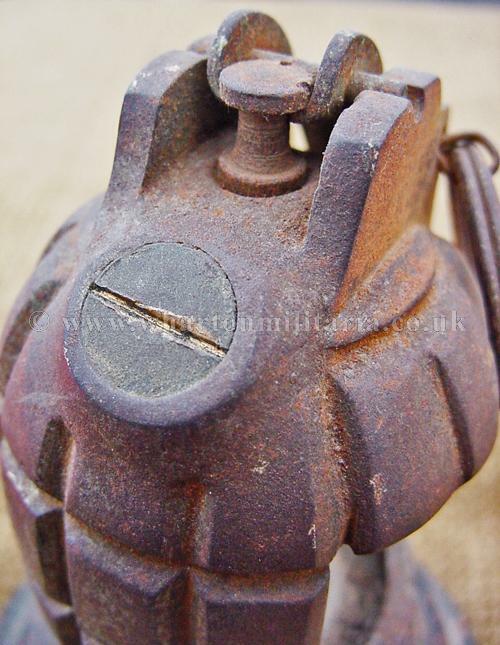 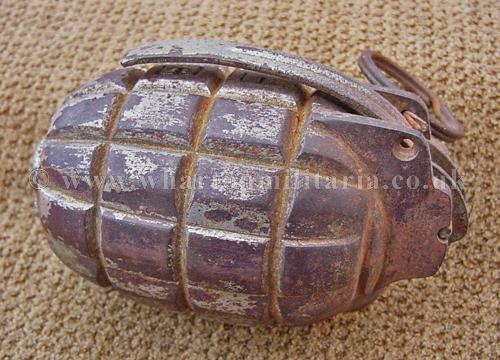 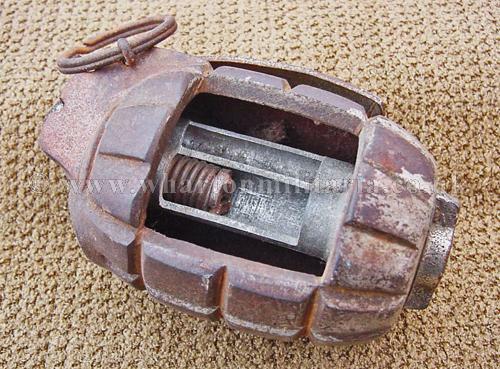 Grenade is complete, still with its purpose made stand, contemporary sectioned for instruction, body has ‘EF’ under the area covered by the arming bar. 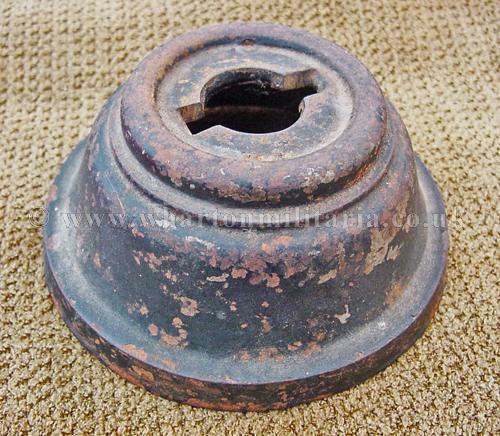 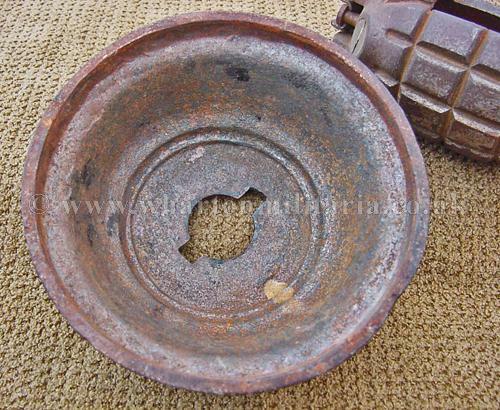 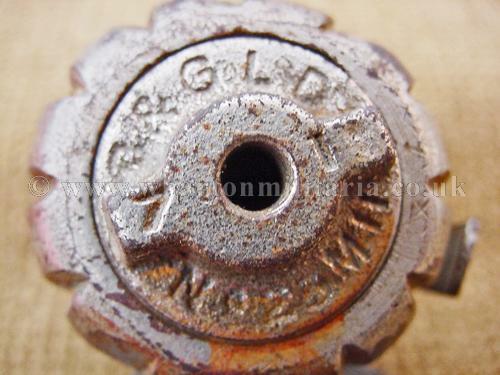 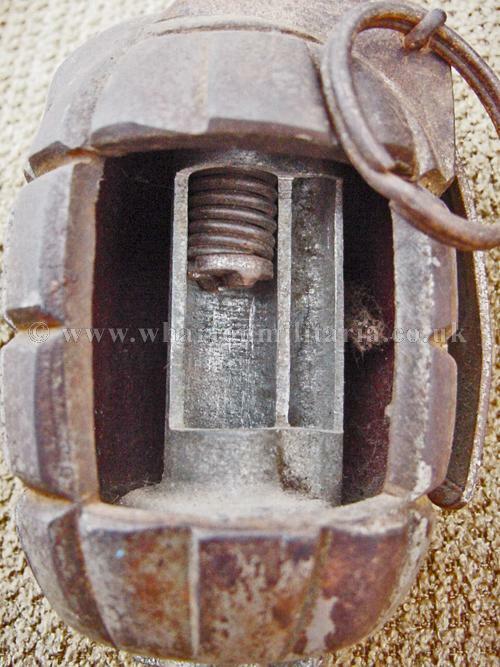 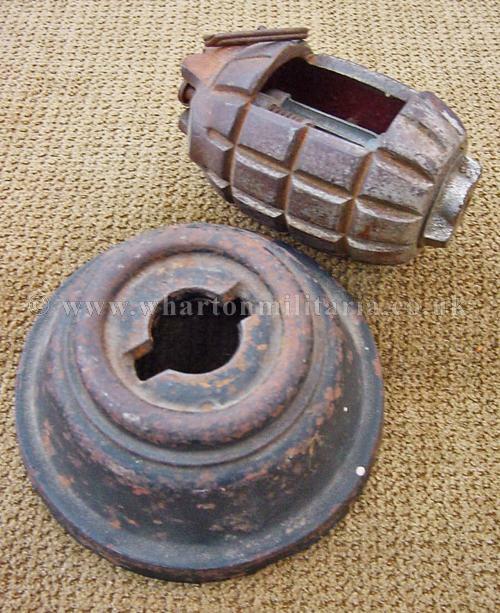 The base plate is maker marked, possibly ‘A&GLD’ and ‘No23 MII’ along with a ‘7’ and a ‘1’ either side of where the grenade rod would be screwed into the base plate. 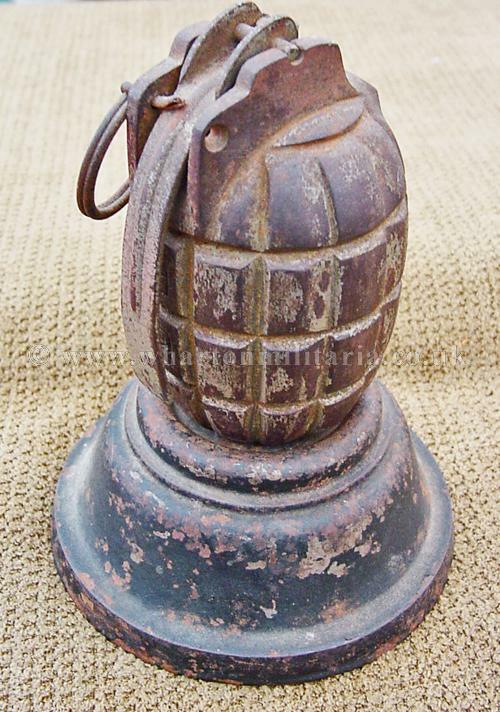 The No23 MII rifle and hand grenade was introduced in June 1917 becoming obsolete by early 1921. 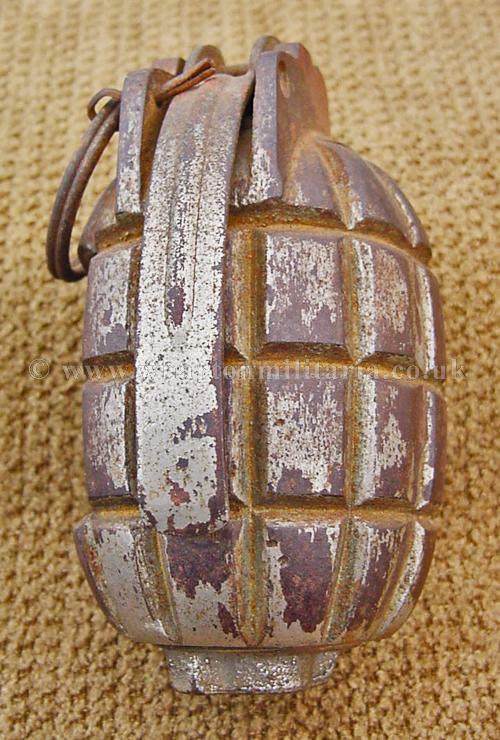 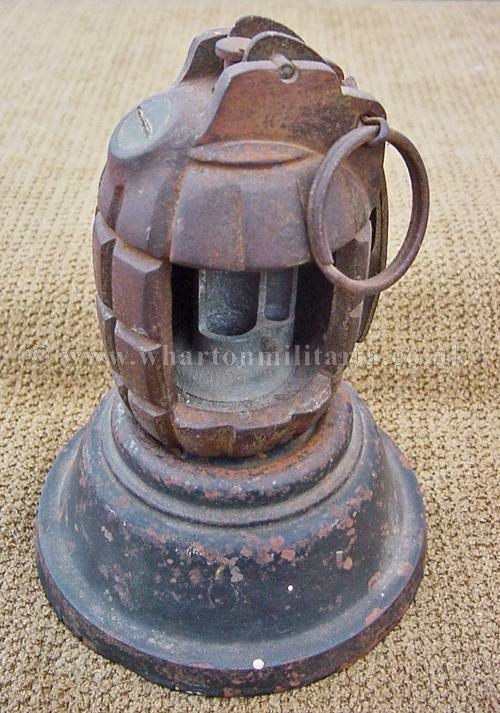 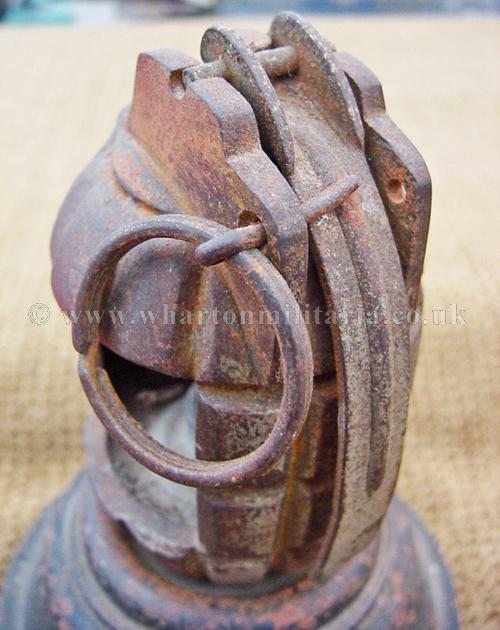 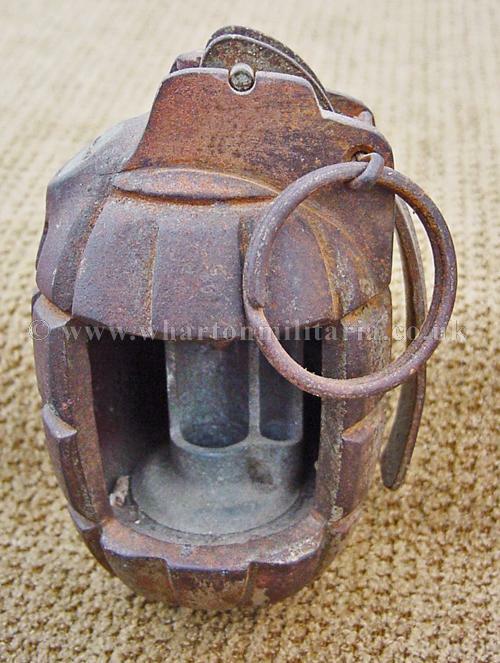 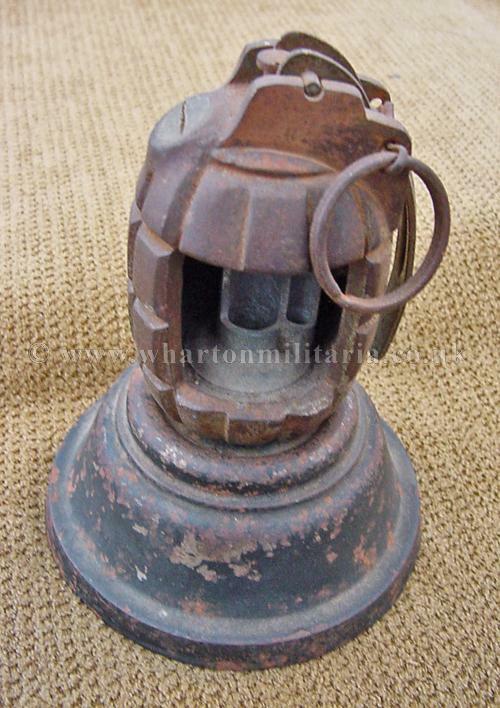 A scarce original WW1 ordnance instructional grenade.